I have been thinking a bit about the process of developing appellations in new world wine regions. This was a particular issue on my recent trip to Washington State, and it's becoming an issue in British Columbia, Canada, which I visited last summer. And when I travelled to Mendoza, last November, I saw in depth how two new appellations were being defined in a scientific way. In April this year, I visited Franschhoek where this is a real hot potato. And it's even becoming an issue in the UK. As wine regions develop and mature, it's natural for those involved to want to designate special areas within those regions as appellations, especially if there are certain physical characteristics of the area that make it distinctive, and result in special wines. There are a number of things that need to be considered in this process, and also a number of pitfalls. Washington State showed the good and bad aspects of this process. There, the main problem is the potential for massive consumer confusion, partly because of the lack of any rules governing labelling regulations. The first issue is the existence of the Columbia Valley AVA, which is a large AVA that covers over 99% of the state's wine, pretty much all of which is made east of the Cascade Mountains. So, some wines have Columbia Valley on the front label with no mention of Washington State. Others use Washington State with no mention of the Columbia Valley. Where is the brand equity being built? I also saw bottles with sub AVAs on the front label – one example was Red Mountain – without any mention of Columbia Valley or Washington State. I did wonder whether it might have suited some of the larger companies to have the origin of their wines made less than obvious. To most American consumers, a wine from Columbia Valley looks like it is made in California, and in the past – when Washington State had less brand equity – this might have been helpful. They might argue, though, that putting Washington on the label would suggest to many consumers that the wine comes from the other side of the country (“which side of the Potomac do you grow your grapes”). Either way, it's an undesirable situation. There should be a legal requirement for how AVAs (and nested AVAs) are displayed on the label. Then there's the issue of how AVAs (or other, similar appellations) are decided. Is it just political boundaries? This is fairly uncontroversial, in that if your vineyard is located within a geographical area, then you can say that the resulting wine is from that area. It's simply label integrity. But there's little point for such AVAs, unless of course by happy chance the political boundaries also align with physical characteristics of soils, climates or aspect that result in distinctive wines. In this sort of situation, can’t you just indicate where the wine is from without the need for an AVA? In Washington State, there's also the bizarre situation where one of the main AVAs is shared among two states. Walla Walla is part in Washington State and part in Oregon. The Oregon bit really doesn't fit with the rest of Oregon, so there are examples of wineries hopping over the state boundary just because it's hard for them to get any traction as an Oregon producer. The newest Walla Walla sub-AVA is actually a great example of how to define an AVA that makes sense, in that it is done solely on soil type. It's called the Rocks, or, to give it its full name, the Rocks District of Millton Freewater. It is a pretty homogeneous AVA, with 97% of the 4000 acres sharing the same soil type. It’s basically an alluvial fan of the Walla Walla River, where the river leaves the Blue Mountains and enters the Walla Walla Valley. Rocks is entirely in Oregon, but is part of the Walla Walla AVA, which is shared between Oregon and Washington State. Currently there are 300 acres planted. The reason this AVA makes so much sense is that you can look down at the soil and see the boundary. And you can taste the effects of these soils in the wines. When I visited Catena in Argentina last year, they showed the process that scientists had gone through to establish two new appellations in Mendoza, with the first of these, Gualtallary, now having been granted a GI (geographical indication). The setting of the boundaries had been established on the basis of some fairly in-depth science, showing that they made sense, and also that vineyards located within the boundaries would be significantly different to those outside. Should new world appellations have a raft of restrictions allied to them, just as they do in Europe? If you want to use an appellation name in Euopean regions, you need to use proscribed grape varieties, and also meet yield requirements (although these might be fluid, as in Champagne), and possibly further rules designed to guarantee quality. I think the answer is yes and no. To me it makes little sense that grape varieties aren't considered in appellation rules in the new world. It may be that certain places just have an amazing talent for, say Riesling. So restrict the AVA or appellation to Riesling for that place and it suddenly becomes very interesting. Of course growers can plant other things, it's just that they have to use the broader appellation. It helps build brand equity for the new, tighter sub-appellation if it is reserved for wines of special character. Of course, you don't want to move too early to this sort of system, and it's only worth doing if a region has a genuine talent for the variety or varieties in question. But it has real potential for growing the international reputation of a region. The big challenge: getting stakeholders to agree. As for restrictions on yield and so on, I am not sure whether these actually result in better wines. So I would avoid them. 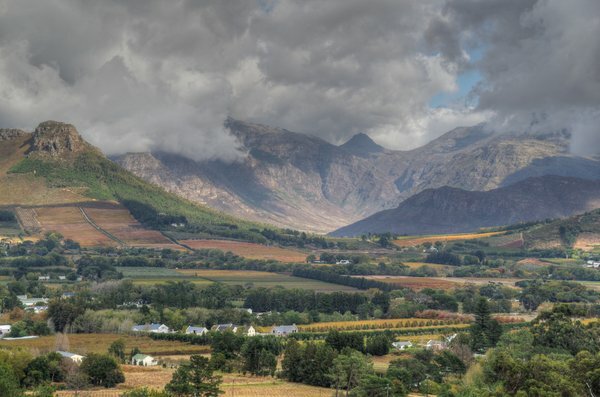 I have been really interested by the situation in Franschhoek, South Africa. On the one hand we see there a political move to expand the Franschhoek WO boundaries to include the Paarl Simonsberg ward, which seems ill-advised but will probably make some people quite a bit of money. On the other hand we have the desire to create one of the new world's tightest appellation systems, with Appellation Grand Prestige (AGP). This is for wines grown in Franschhoek WO from Semillon, Chardonnay and Cabernet Sauvignon only, because the guys behind it thought that these were Franschhoek's strong points. In the inaugural year, just a handful of examples of each passed the typicity taste test, so this is almost a half-way house between an appellation and a competition. It’s not a perfect system, but it is a really intriguing and well thought out initiative. What about tasting tests? Should AVAs get a panel of tasters together to see whether the wines pass muster? This sounds like a good idea, but it is fraught with problems. Who are the tasters? How good are they? Are they tasting from a winemaker's perspective, or a consumer's? This big problem comes when perfectly sale-able wines made in an unorthodox style get failed. This happened several times with Pearl Morissette's Riesling from Niagara, Canada. The VQA tasting panel kept failing it, even though it's a lovely wine with a strong fan base. Normally, a grower could just declassify. But with the Ontario VQA, if you don't pass you face a serious financial hit in terms of lost tax breaks, so declassification is potentially ruinous. There needs to be protection for appellation names. Look at the situation with the Waipara Valley in North Canterbury, New Zealand, where there are at least three wineries with ‘Waipara’ in their name. Ideally, wineries shouldn't be able to use an appellation name in their own name. In addition, it should be illegal for people to put the name of an appellation or AVA or WO on the label unless that wine is part of it, to avoid consumer confusion. This brings me round to the important point on consumer confusion. Consumers are confused enough when it comes to wine, and the profusion of appellation names only serves to make this worse. So there should be a lot of caution about creating new sub-AVAs or appellations unless the distinctive character of a viticultural area, expressed in the wine, really demands it. The problem is that these new regions are seen as a badge of honour and a ticket to higher prices, and so people have a motivation to create them, even if they are more-or-less meaningless. The creation of a PDO for an English county, Sussex, to include both still and sparkling wines, is a case in point. There's no justification for it on the basis of terroir. The proposed rules may be tighter than existing ones, but they won't guarantee quality. The net result is an extra layer of complication for consumers. You can already put Sussex on your label if you make the wine there. There's nothing special about Sussex compared with neighbouring counties. So what really is the point? So, to conclude, identifying special vineyard areas within emerging regions is part of the development of any wine industry. I think there needs to be a justification on the basis of physical features of any proposed appellation, rather than just the banding together of producers within established political boundaries. The proposal needs to spell out how these boundaries were defined or else they will later be subject to challenge, especially if there is a financial motivation for their expansion. It makes sense to award the appellation only to certain grape varieties that the proposed area has a special talent for. And I think great caution should be taken in setting up these appellations, because there's no going back once they are in place.